Estimated 300,000 will not be taking the test!... Test Boycott in Great Britain reduces tests today by 50 percent! [Editor's Note: The following was Posted By Jim Horn to Schools Matterat 5/09/2010 08:15:00 PM. Some Chicago students will not be taking tests this week, but until Chicago teachers — and teachers elsewhere in the USA — are organized to boycott the tests, the reign of the testocracy will continue in Chicago. George N. Schmidt, Editor, Substance]. 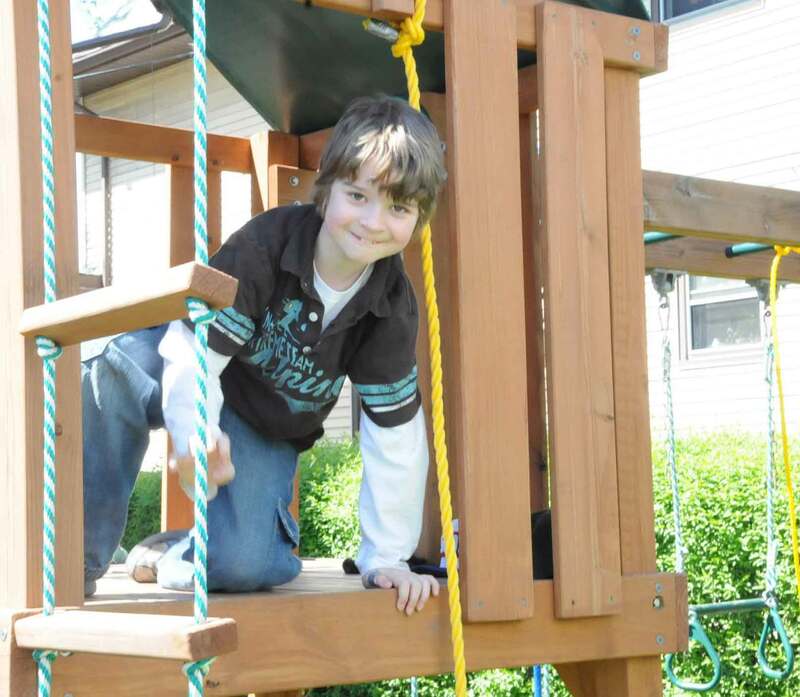 Chicago third grader (and Substance elementary editor) Sam Schmidt enjoying Mother's Day on May 9, 2010. Substance photo by George N. Schmidt.Half the 10 and 11 year-old children this morning (in Britain) will be reading books, poetry, and telling stories, rather than taking another meaningless standardized test. The boycott will continue through Wednesday. What joy, and what joy if only the prostitutes who run the NEA and the AFT would honor their Code of Ethics against child abuse here in America? As many as 300,000 11-year-olds will find their national curriculum tests cancelled this morning. The estimate of the amount of disruption caused by a boycott of the tests - in maths and English - increased yesterday. Christine Blower, general secretary of the National Union of Teachers, said that the number of schools backing the boycott ranged from 30 per cent to 75 per cent from local authority to local authority. Overall, about half of the 17,000 schools due to sit the tests are set to abandon them. Ms Blower added that, if no agreement could be reached on reviewing the tests and scrapping exam league tables derived from them, the boycott could be repeated next year. "We would have to consider that," she said. "The purpose of the boycott is to get rid of the SATs (national curriculum tests). If we had a different series of tests and a categorical agreement there would be no league tables, then obviously that would be different." Both Labour and the Conservatives are committed to the test going ahead. However, teachers' leaders are pinning their hopes on Liberal Democrat involvement in the new government because the party spoke out against the tests and exam league tables during the election campaign. The NUT - along with the National Association of Head Teachers - has voted in favour of boycotting the tests because they believe the importance placed on them - with performance tables based on their results - has forced schools to teach to the tests at the expense of the broader curriculum. It will mean headteachers refuse to distribute the test papers to pupils but otherwise remain at work. Teachers' leaders believe the rise in the numbers of heads boycotting the tests could be down their feeling less fearful of the the threat of reprisals as a result of the stalemate over the formation of the new government. The Schools Secretary Ed Balls had urged school governors to consider sending heads home if they refused to administer the tests - and said they should consider appointing another "competent" adult to ensure they went ahead. However, the National Governors' Association - which represents school governing bodies - warned of the dangers inherent in such action. "The NGA would not advise any governing body to go ahead without considering how they could fund any legal dispute which arose from this request," it says. "The unions are highly likely to challenge any employer who requests an employee be sent home (who is only carrying out part of their duties as a result of industrial action)." Meanwhile, at an anti-SATs rally in London's Jubilee Gardens yesterday, children's authors revealed they would be going into schools to read poetry and tell stories to provide pupils with an alternative to the SATs. The author Alan Gibbons said at the rally: "We will be conducting poetry sessions, reading books and doing story-telling activities - trying to show an alternative approach to SATs." More than 90 children's authors and illustrators signed an open letter to the Government warning that the tests were switching pupils off reading because they concentrated on learning excerpts from books for the tests rather than reading the whole story. Ms Blower told the rally: "We are standing up and saying we must get rid of the SATs and the league tables. Let's make sure that every child has a great year unencumbered by ridiculous tests and make schools a SATs-free zone." The first test - English reading - is due to take place today and will be followed by three more days of tests. These include a writing test and two maths tests, one concentrating on mental arithmetic. Up to 300,000 children are expected to miss their Sats tests this week as head teachers across England stage an unprecedented boycott of primary school exams. As many as half of 10- and 11-year-olds will fail to take the tests, it has been revealed, in a move that threatens to throw the examinations system into chaos. Rising numbers of schools have confirmed they will be joining the boycott of English and mathematics tests. In some areas, all schools are taking part, while in others more than half plan to take action. Children affected by the protest are expected to proceed with normal lessons. The industrial action is being staged by the National Union of Teachers and the National Association of Head Teachers after a ballot of members earlier this year. Activists claim the Sats ruin children’s education as schools are put under pressure to “teach to the test” to boost results. It is also claimed that failure to hit targets puts head teachers’ jobs under threat. Up to 600,000 children in England’s 17,000 state primary schools were due to sit a reading test on Monday and separate writing and spelling exams on Tuesday. Pupils will take a series of maths tests on Wednesday and Thursday. The boycott is set to prevent the publication of exam league tables later this year and will also throw Ofsted inspections into chaos as the watchdog relies on exam data as a key barometer of school standards. Christine Blower, NUT general secretary, said that up to half of primaries were set to join the action. "We have reports that the numbers of schools boycotting Sats in many areas is close to 50 per cent,” she said. “At that level of participation in the action, it would be impossible to draw up league tables." Ahead of the boycott, the NUT held an "anti-Sats picnic" in central London on Sunday, which was billed as a celebration of reading. Unions also claim the exams prevent children reading whole books. Alan Gibbons, the children’s author, who was due to attend, said: “Schools use extracts to spot the metaphor or the simile, instead of allowing children to read whole books. A survey of almost half of England’s 150 local authorities suggests schools in almost every area will boycott exams. All 31 schools in Hartlepool will be affected and an estimated 75 per cent of primaries in Calderdale, West Yorkshire, will refuse to stage Sats. As many as half of primaries in Kent – England’s biggest authority – are likely to boycott tests, while in Barnsley, South Yorkshire, more than half will take part. Some 60 schools in Manchester are backing the action, while 32 in Hertfordshire and 16 in Barking and Dagenham said they were boycotting. In total, 37 local authorities confirmed schools would be taking part in the action, 21 did not yet have figures and only five said no primaries were boycotting. The action was expected to be the first battle a new government would have to face, but with a hung Parliament following Thursday's General Election, it is highly unlikely there will now be a last-ditch attempt by politicians to get it called off. Areas confirming industrial action are: Barnsley, Birmingham, Calderdale, Darlington, Doncaster, East Sussex, Essex, Gloucestershire, Hampshire, Hartlepool, Hertfordshire, Kent, Kirklees, Lincolnshire, Manchester, Middlesbrough, Norfolk, Peterborough, Poole, Portsmouth, Reading, Rotherham, South Tyneside, Stoke on Trent, Swindon, West Berkshire, Windsor & Maidenhead, and the London boroughs of Barking and Dagenham, Bexley, Bromley, Enfield, Harrow, Hounslow, Kensington and Chelsea, Lambeth, Southwark and Westminster.